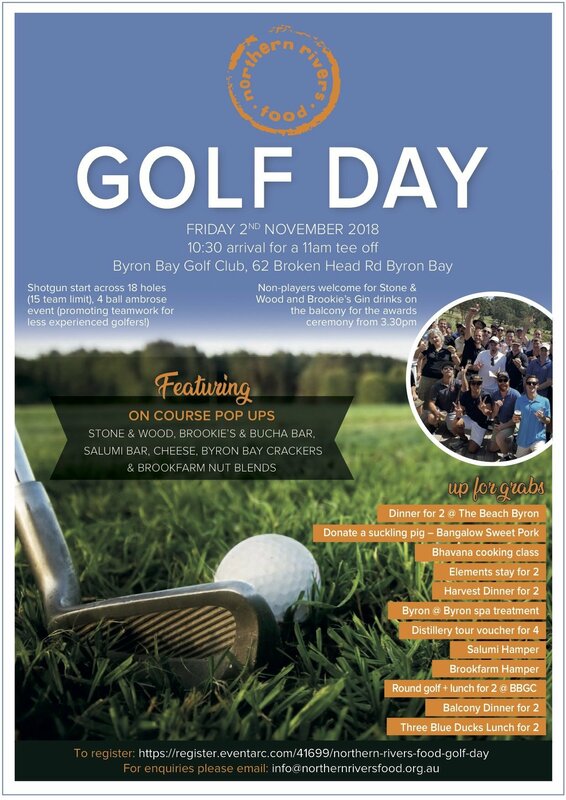 Join Northern Rivers Food for a terrifc day of golf at Byron Bay Golf Club – a great day of socialising, delicious food, on course pop up bars and great prizes!! We’re seeking teams of four, or register as an individual and we’ll match you up with others. It will be a four-person ambrose with golfers and non-golfers all very welcome! All monies raised to Northern Rivers Food.